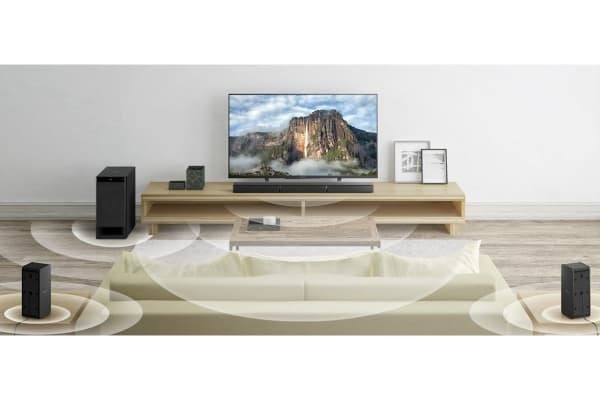 You’ll always have the best seat in the house with this 5.1 channel home audio system that delivers true cinematic surround sound with an added explosive punch of 600W! Immersive sound adding to the magic of your movies! 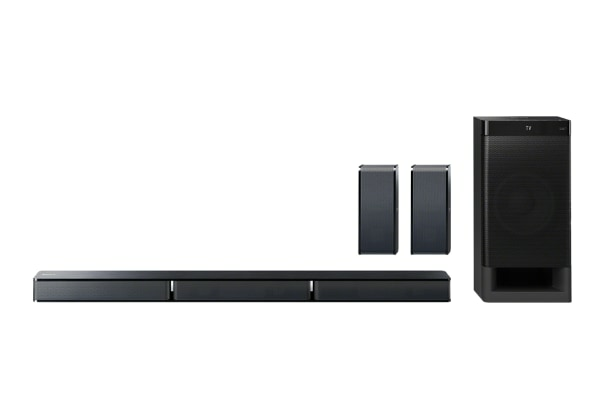 If you’re looking for a 5.1 sound system that brings your home cinema to life, the Sony 5.1 Channel Soundbar With Rear Speakers will meet every expectation that you have. It gets you to the heart of your movies by enabling you to hear every whisper and footstep like it was happening right in your living room. 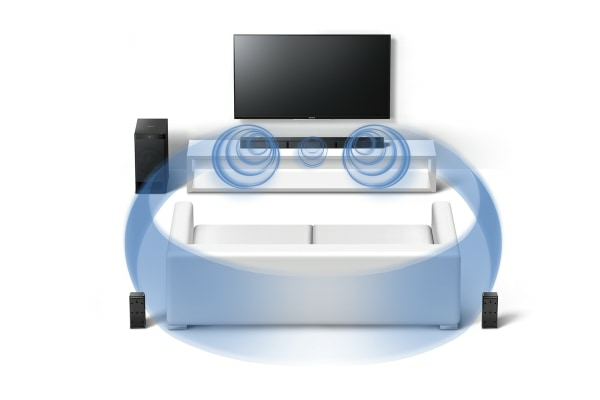 Thanks to real surround sound capabilities and the S-Master digital amp, your movies now have that added X-factor. This 5.1 Ch Soundbar with speakers is almost ready to go when you unbox it. All you need to do is to connect it to your TV using HDMI ARC, or connect to the optical input (if your TV doesn’t support HDMI ARC). Conveniently, All the cables run into the subwoofer, so things look neat and tidy while amazing sound fills up your room. 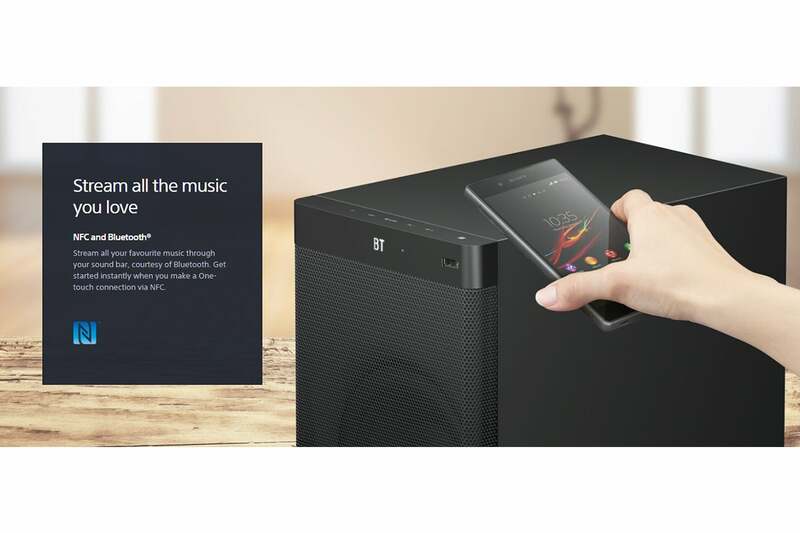 Connect to any compatible smartphone with Bluetooth/NFC and watch multiple speakers fill up the room with songs from your favourite playlist while the subwoofer recreates booming bass. With this amazing sound system, you can be sure that your place is the place where everyone wants to party!